by DB Style Director, Jodi Taylor DB Special Comment: Jodi Taylor is a fashion designer and stylist living in New York City. She is also my roommate and business partner in our vegan, organic, dinner party catering company "Savory & Seed". Her comprehensive Spring 2008 Men's fashion report serves as evidence of her fashion expertise and as a tool to inspire fashion decisions based on current trends. * NOTE: Many of the runway images used in this report are for inspirational purposes only, as the designers use leather , fur, and wool products. Springtime is always refreshing. Shedding the heavy winter jacket and lightening up the wardrobe with new spring looks can make you feel like a dapper gent. This spring, my three favorite looks are Slim Lounge, Urban Sport & Back to Nature. All of these themes are easy to incorporate into your current wardrobe. Choose the one that suits you the best so you feel comfortable and confident…you want to own the style not vice versa. Here is how to keep up with the seasons top trends while staying squeaky-green! For this style, think 70’s lounge meets gangster with a little rock & roll . Wear a 3-piece suit relaxed, and unbutton the first few buttons of your shirt. Don’t be afraid of the ascot or a slim light cotton scarf. If you need a little help tying your tie or scarf click HERE. Try mixing a subtle print and texture as well as vintage pieces to your collection. Go thrifting and look for pieces to add to your wardrobe like a printed polo or a slim fit button up. If you wear a tie, do it skinny, easy to get vintage. The 70’s lounge look is a little tricky, don’t overdo it otherwise it will end up looking a little too theatrical. The color palette for this look should be subdued. Chose smooth and charismatic colors that will go from day to night; charcoals and shades of gray, navy, black and khaki. Add a little warmth to your ensemble with a muted lavender or teal. Stay subtle in color and pattern, but combine it with a two-tone suit or a printed shirt under a plain vest or blazer to make a statement. Classic black & white also works for this look and is a simple solution that’s always in. The jacket and vest - I love this Dogtooth shawl collar waistcoat and skinny blazer, both 100% cotton at Topman. If you can’t find your 70’s style button up shirt vintage try this organic us made button down collar shirt at Boll Organic. I also recommend Ted Baker and Paul Smith for the best fit and hottest look.. don’t freak out - they're worth the price! For the shoes I recommend these Brown faux wingtips or loafers by NOHARM, sharp! Buys these babies on Togged. If you need a bag, like I do, complete the look with this faux-leather “Dirty Harry” briefcase by Matt & Nat. Spring is for Sport and getting in shape, so lets prep it up with comfy style and small pops of color. Think street sport meets country club. Achieve this look with casual knits paired with technical fabric pieces and carefully selected accessories. This easy to wear style is inspired by tennis, soccer and is a fusion of tough meets refined. don’t forget a little aristocratic embellishment like a coat of arms patch or pin but do it vintage and apply it yourself for the best results! This look definitely requires the right attitude, so wear the mood along with the look. The colors for this look are the basic neutrals: black, gray, khaki and white used in combination with small pops of color that make the look, like deep red, blue, and yellow. 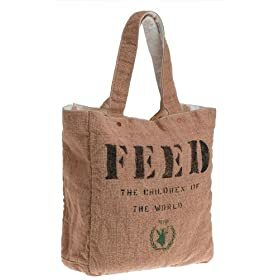 I suggest you put this look together with these must-have items. The Polo – Get this handsome fair trade, organic cotton slim fit “Jaguar Polo” at Adili. The Wind Breaker - “Rasta Rain Coat” from the eco-friendly skaters at ipath. The track jacket – This 100% organic cotton loomstate track jacket is great, get it at the greenloop. I also suggest the Hemp track Jacket available at ipath. The tee – Choose from Edun's wide selection of organic tees, I like the "Cameo" & "twisted tree" avaliable from Edun. The Scarf – I love this white checker, light weight cotton “Wem” scarf at equip, or just get it from the street vendors on St Marks place if you're in New York. The shoes – We saw chrome lace-ups on the runway for spring from Gucci. You can work this look with the vegan slim shoe like the lace up canvas “plimsole” in silver or white from Asos. Go for the original (and vegan) classics at Sperry Top-Sider. Also available in white & khaki. *READER JASON informs us these have leather laces!! Yuck! steer clear. The Gloves – Yellow cotton fingerless gloves can complete the look, get them at topman. 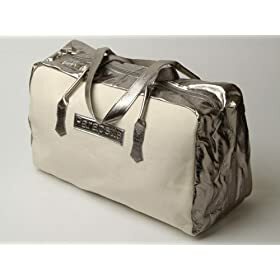 The Bag – this vegan white tote is where it’s at for sporty style “Dunlap Retro Bag” available at topman, or this PVC-free, vegan Parapete canvas and gun-metal chrome tote at Amazon. Take winter into spring with this seemingly effortless look…being green has never been so trendy. This season the raw, organic, recycled look is in with an influence of military styling. Be slightly disheveled, push up your sleeves don’t iron the shirt; relax because it just adds character. Go for oversize jackets, linen pants & raw denim. Feel complete in soft jersey henleys & the broken in button up. Accessorize with wooden prayer beads, ethnic scarves with coins and other worldly charms that you find along the way. The color palette for this style is elegant, yet rugged - let the palette and textures of your wardrobe reflect the variegations and subtleties in nature and the city. Neutral & weathered gray, pale green & khaki work well and let you be a part of the city and nature at the same time. The organic tee – hooded, washed & ready to go, get this shark gray cotton hoodie by NSF at Barneys. Organic Jeans – These Nudie, dry-aged organic jeans are a hit, get em at Tobi. The Scarf – deep red check, light weight cotton summer scarf at topman, or if you live in New York, just get it from the street vendors on St Mark's Place for cheap. The Beads – Support Tibetan artisans while relaxing and chanting your mantra of choice with this Dark bodhi Seed Mala necklaces at dharmashop. 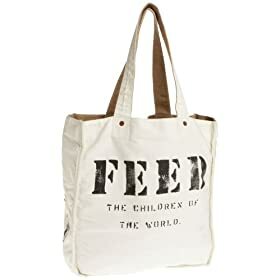 The Bag – Feed Hungry children around the world with this cool “feed” tote that matches your style at amazon.com.